It’s been so long overdue, it’s just starting to get ridiculous but I have finally got round to doing it. Some have gone by the by, I have had a little rule that if the blogs I have linked to haven’t posted anything this year, then they have been removed. I have so many blogs that I read and I want to share with everyone that I have to have some control over who I link to. After all, I want you, my readers to get the best from the EMS Blog World. See, not may to add is there??? 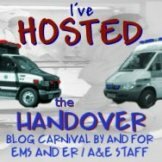 Rogue Medic – One of, if not the most informative blogs on EMS you can read. Rogue has strong opinions which may not be to everyone’s liking; however, he will always back up whatever he is saying with copious amounts of relevant and up to date research. Pre Hospital 12 Lead ECG – Tom’s blog is my bible for all things ECG. I used to think I was pretty clued up on my 12 Lead ECG interpretation, but I pale into insignificance next to this guy. The best thing about it though is that he teaches the subject so well on his site. So much so that I have printed out everyone of his teaching blog posts and have them in a file on station for everyone to learn from. Sam Bradleys Writers Blog – The title is a little deceptive as it is not about writing! Sam is a seasoned Veteran of EMS (I can say that can’t I Sam?) with 30 years in the Service. I again, have had the opportunity of spending some time in her presence and always look forward to what she has to say. Sam has now moved into consultancy for EMS Training and QI for Fire Departments, but remains a staunch advocate for all things in EMS. All of the others are of course excellent reading too, but I just wanted to make a special note to those above. So, off you go and get reading! Enjoy!